SHANGHAI – The annual Planet Textiles event on sustainability, which takes place on October 19th in China can now confirm its final line-up of speakers, which includes some of the most influential textile industry figures in the Asian region and representatives from some of the world’s leading brand. High level executives from Asian textile producers such as John Cheh, CEO of Esquel Group and Kenneth Lo, Chairman of the Crystal Group will be joined by Christine Tymkiw, director of raw materials at Wal-Mart Global Sourcing, and Bril Lacno, Director Environmental Sustainability, Asia, Levi Strauss & Co.
Other leading executives scheduled to speak include Mr David Chu, senior vice president, sales and marketing, TAL Group; Linda Greer, Executive Director of Natural Resources Defense Council; Rohit Aggarwal, global vice president, apparel and home textiles, Huntsman Textile Effects; and Sun Ruizhe, President of CTIC & Vice President of CNTAC, among others. In addition, Q&A sessions will be hosted by Pat-Nie Woo, Chairman of the Sustainable Fashion Business Consortium, Phil Patterson, Chairman of the not-for-profit RITE Group and Nico van Schoot from Genencor. 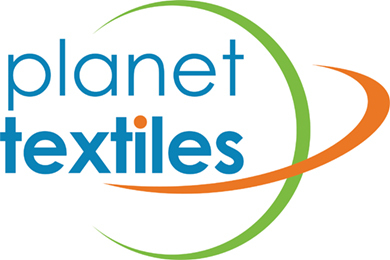 Planet Textiles will also take place at the Renaissance Hotel, Shanghai, China alongside the huge Intertextile Apparel Fabrics exhibition in Shanghai on 19th October. The event, which first debuted in Hong Kong in 2009, is jointly organised by MCL Global - the publisher of Ecotextile News and Messe Frankfurt. It aims to improve the environmental and social impact of the global textile and clothing supply chain by raising awareness of these issues in Asia and providing a unique networking platform for retailers, brands and textile innovators.